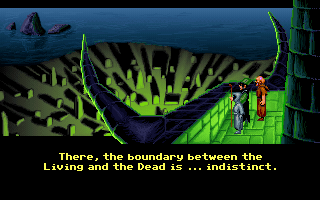 I’m gearing up for next week’s show on the very cool and unique 1990 adventure game, Loom. If anyone wants to give it a whirl, you can grab it on steam alone for 5 bucks or as part of the LucasArts adventure pack with 3 other amazing games (including 2 Indy games) for 10 bucks. Looking forward to talking about this very interesting game from our friends at Skywalker Ranch.